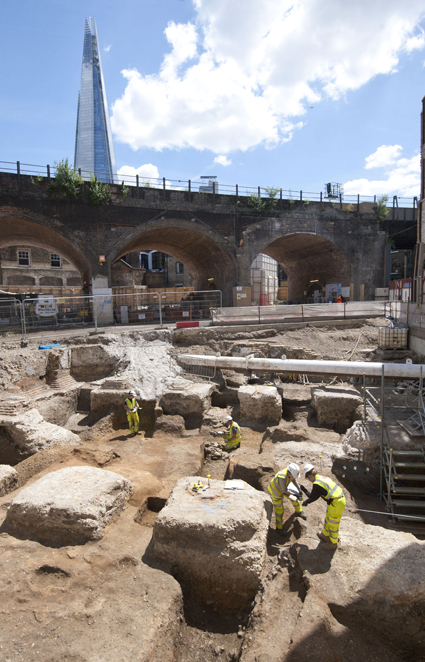 A team of our archaeologists – working on behalf of MB Bermondsey – recently began excavations in north Southwark. The site is known to have been in use in the Roman period when the River Thames was much wider and the landscape of Southwark featured small islands and water channels. It later sat within the outer garden of Winchester Palace, the medieval London residence of the Bishop of Winchester, which was constructed in the early 12th century. 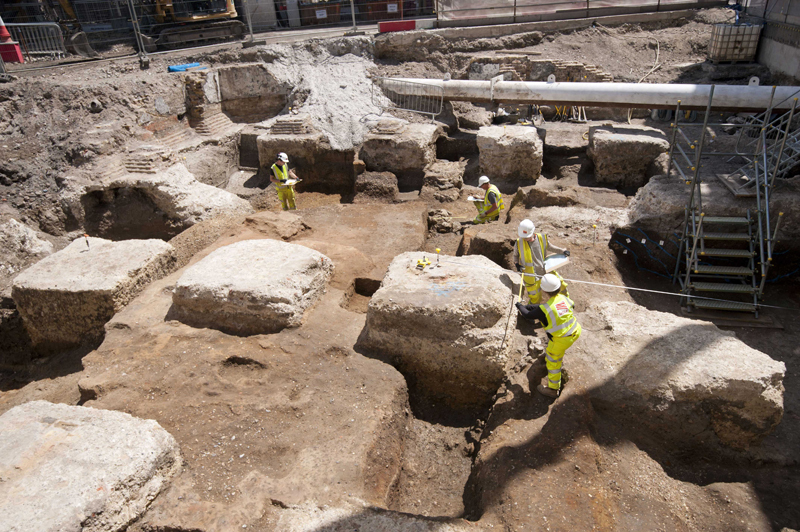 Archaeologists are excavating the fragmentary remains of Roman clay and timber buildings, with evidence for Kentish ragstone foundations being uncovered that were subsequently robbed. It is possible that the ragstone may have been reused in the building of the palace. Evidence for medieval timber drains and a possible sluice gate are also being excavated and studied by the team that may relate to use of the site as housing and industrial premises for tenants from the 18th century. The story of the site is still being uncovered as archaeologists unearth new evidence and explore how the different elements relate to one another. RPS has been providing archaeological and historic environment consultancy advice on this site for over five years. Their tender for the appointment of archaeological fieldwork contractors led to the appointment of MOLA as the site archaeological contractor. RPS is overseeing fieldwork and will continue to monitor that and the off-site post excavation works.